How does Golden Cypress compare to other species? 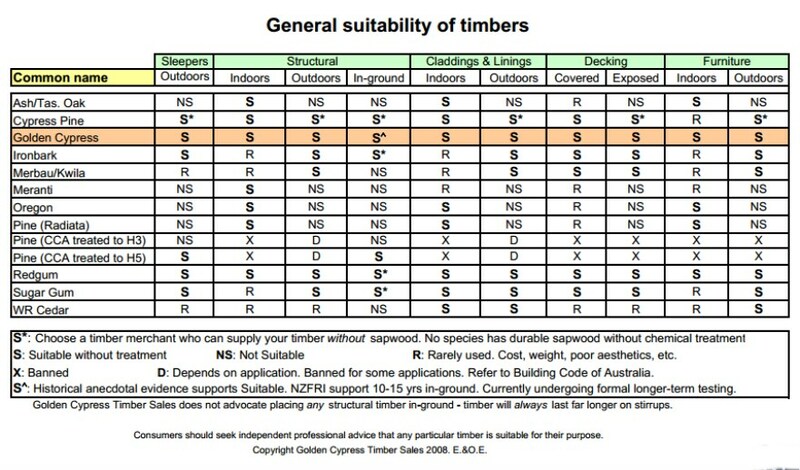 Golden Cypress is suitable for a huge range of projects, including Structural, Cladding, Decking, Sleepers and Furniture. 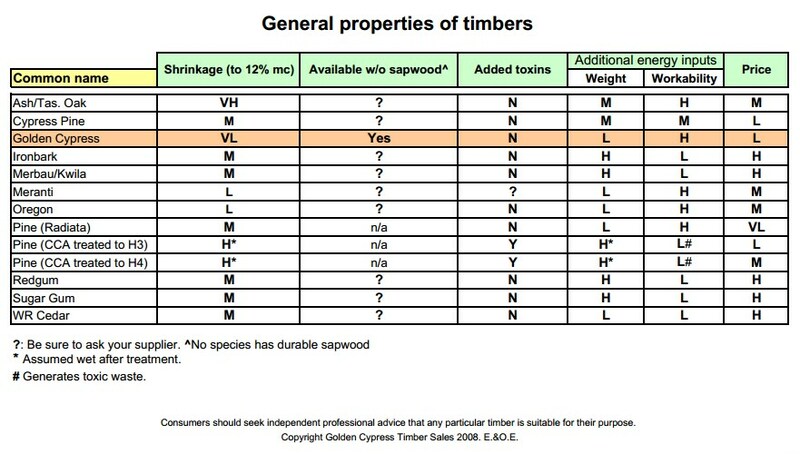 Compared to other species, Golden Cypress is strong, durable and light, with exceptionally low shrinkage.